Village Idiots the might be, but the Lincoln team had plenty of wisdom this week as they pulled out the top prize in the February Prize Draw. 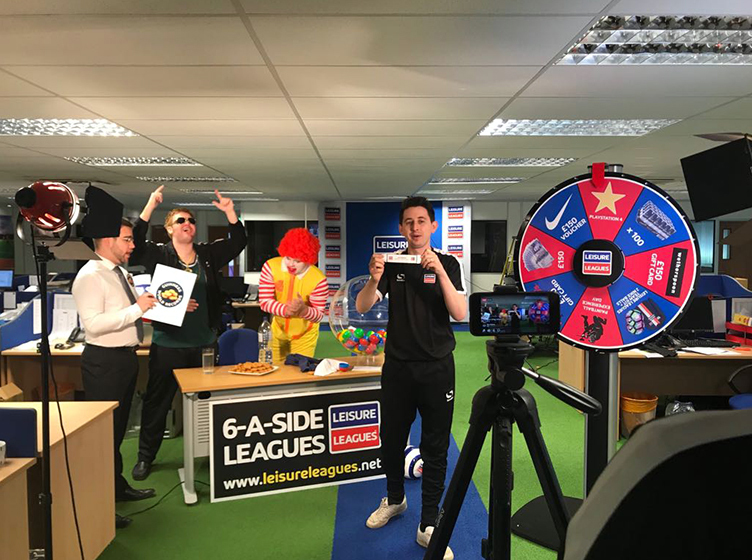 The team, who won the North Kesteven League (and are top again after picking up maximum points from three games) were the lucky team who got a spin on the wheel in the prize draw. 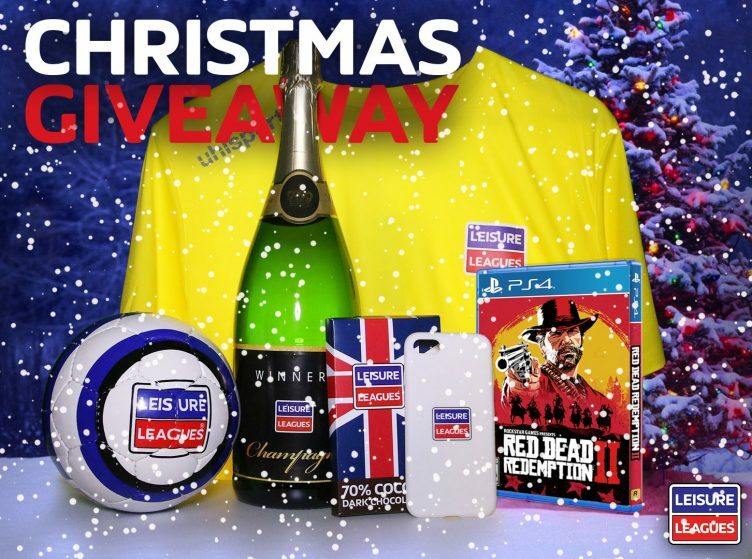 The top prize – a £12,000 holiday to Germany for the whole team so that they can watch a Bundesliga game – courtesy of UHLSPORT remained unclaimed still, but six replica kits of their choice is still a decent haul for the boys. White Pheasant, from the Newmarket Monday league, showed a tremendous appetite for the battle throughout the last season as they finished as runners up. But if they’re hungry now they may well be able to fill up with £150 of Nando’s vouchers they got in the draw. They’re pretty well placed to do the same again – sitting third after a brace of games so far. 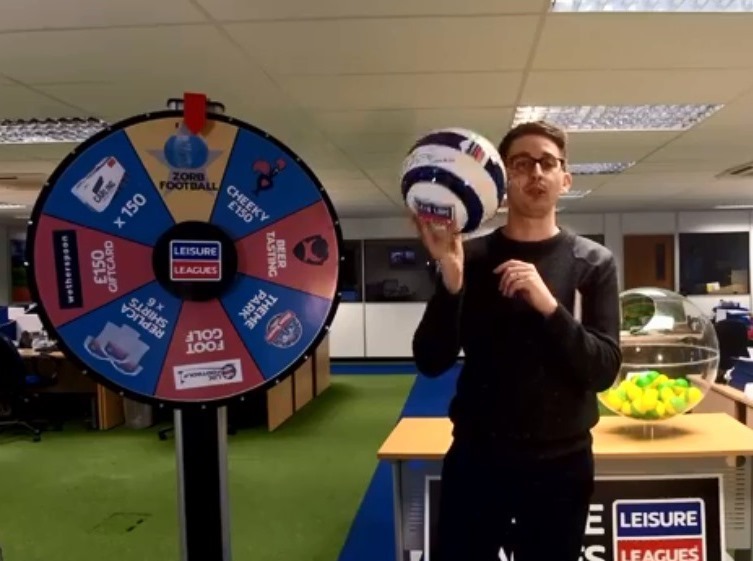 Those were the two main beneficiaries in the big draw, while Jack Thomas commented with the name of his favourite referee to win the signed Mark Clattenburg ball, as the prize draw continued its tradition of allowing the watching online viewers the chance to score a prize themselves. Jack said his favourite ref was Colin Murphy. And who can argue. That was all the news from the main draw, but the Bottom Of The League teams and Most Valuable Players had taken place earlier in the afternoon. Another Lincoln team, Reus Krispies had won the former – and actually won a wooden spoon, while the MVP was a player from our Rubery League (which had just finished its first season) and George Fowke, who won a shirt of his choice. There will be another prize draw at the start of March for everyone who wins in February. Keep your eyes on Facebook to find out when.